Small spaces are easily cluttered and don’t often include a lot of extra storage space. You may have only a single, small closet in your bedroom and the entryway, if you’re lucky. You can reduce the clutter by going through your belongings and eliminating all the clothes and other personal items that you no longer want or actually need. You can also make your home seem bigger by painting the rooms in neutral colors and using some other decorating tricks, such as using the right scale furniture and hanging your curtains high above the windows. You may not have much floor space in your home, but you likely have a lot of unused wall space. Use it to install shelving for everything from books to plates. You can clear up cabinet space in your kitchen by displaying some of your attractive mugs and dinnerware on shelves. You can use shelving in your bathroom to display personal products. And, of course, you can use shelving for all your books and knick-knacks. Modular storage comes in a variety of options, from basic stackable cubes to more stylish ladder side tables and shelves. 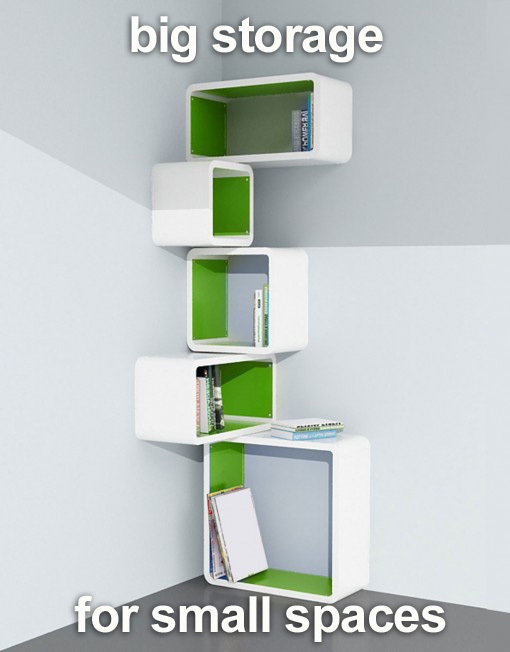 Modular storage is an excellent option for small spaces because it is flexible and can accommodate your decor. You can move the storage easily and scale it to fit the space. 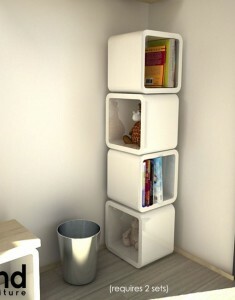 Modular storage also uses clean lines for a minimal and modern look. The furniture won’t clutter up your space either visually or spatially. 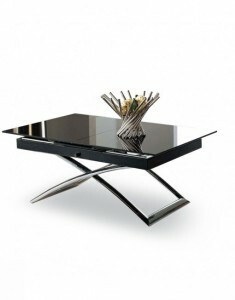 Convertible furniture includes pieces that serve more than one function. Examples include storage beds, coffee tables that expand, end tables with storage, and more. You can use furniture that would already be there to store your belongings. Think about how much space your bed takes up now. Now think about how much stuff you could fit under it if it were a storage bed. Convertible furniture lets you enjoy the best of both worlds — having your storage and your decor. You can get almost any piece of furniture with storage or additional functionality. Explore all your options to maximize the use of your space. 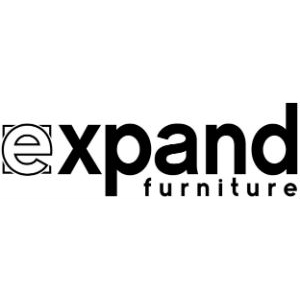 Expand Furniture sells a variety of stylish, convertible and storage furniture to fit your needs for your small home. 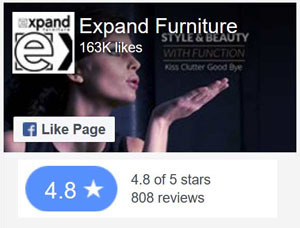 We sell storage beds, wall beds, transforming tables, modular storage units, and more. All of our stylish furniture is made with the highest quality materials and workmanship, ensuring that the furniture is sturdy and long-lasting. 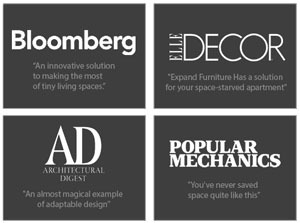 Our furniture is an investment, not just another remodeling choice. Our furniture can also grow with your home, and it can be just as effective in a small home as a large one. 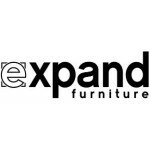 Use it anywhere you want to create more storage and de-clutter the space and contact us today to learn more about your furniture options from Expand.